Keen for a trip to South Australia and its capital, Adelaide? Save time to pass through the district of Plympton Park, positioned 8 kilometres southwest of the middle of the city. If you're exploring Adelaide, don't forget to see the Victoria Square, Government House and Rundle Mall. Master your game at Glenelg Golf Club, a fantastic stop for any golf enthusiasts. If you'd like to stay nearby, check out the amenities at the Seawall Apartments and Stamford Grand Adelaide. A great Plympton Park cafe, Patio Coffee Roasters is well worth popping into. Relax with a newspaper, snack on a piece of cake or just grab a coffee to take away. Wondering where to go for dinner? You can't go past Charminar Plympton. The nourishing dishes here will be sure to satisfy a rumbling stomach. And of course, you haven't truly experienced Plympton Park until you've downed a few drinks with the locals at the neighbourhood watering hole. Here, The Highway is where you'll want to be. Don't pull your hair out if you can't secure the right Plympton Park hotel room. You'll discover more alternatives in the Camden Park hotels guide and the Wotif Glengowrie hotels guide. Camden Park is around a kilometre from Plympton Park and Glengowrie is 2 kilometres away from Plympton Park. 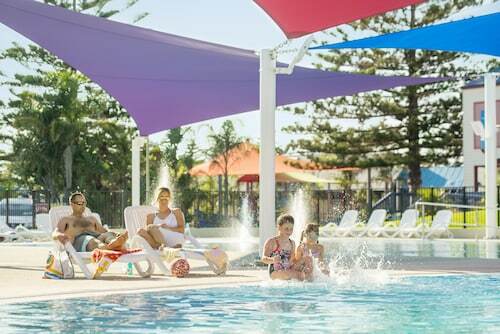 It doesn't matter if you're just looking for accommodation, or the entire enchilada including car hire, flights and activities, Wotif has got your back in Plympton Park. How Much is a Hotel Room in Plympton Park? Hotels in Plympton Park start at AU$113 per night. Prices and availability subject to change. Additional terms may apply.